There's a new Final Fantasy game coming out next week. I've been a fan of the series since the early 1990s, have played and beaten all of them except the second one when it finally was released on the Playstation alongside a remake of the original because the game originally wasn't released outside of Japan. I have a larger tendency to look at their story, pacing, characters and presentation/atmosphere than I do on their boss battles or gameplay tricks. So, often, when someone asks me for pointers I usually just say "level up you'll be fine." Essentially, that's almost all you have to do anyways. Are both Final Fantasy VIII and X awful games? No. They are polished, well-presented and certainly showcase the high production values the series is known for. Yet, neither of these are able to tell a quality narrative or offer us characters beyond one-dimensional archetypes, so much so that you can nearly copy/paste the cast of the games and draw lines of characters as nothing more than the development team reskinning avatars. I've considered getting detailed into the issues of these titles, in a similar fashion to how I dove head-on into titles like Final Fantasy VI and Chrono Trigger in my Digital Polyphony series, but to that would go against my purpose of writing blogs and articles. While I might throw out a cynical and pessimistic blog once in a while, I don't like making that a focus of my style. There's enough negativity on the internet already and there's really no point in my rambling on when I'd much rather focus on things you, I and others enjoy (with a few cynical observations here and there). Final Fantasy I - II - III: I think the first games are enjoyable in spurts but not titles I would recommend to today's audience outside of portable consoles and phones (both I and II now available on the iphone, I might add). Solid, but nothing to write home about. Also know I barely touched III, it was in limbo for so long, so maybe I'll pick it up at some point. Final Fantasy IV: A title with fantastic characters, a central hero's search for redemption that is relayed and presented beautifully and a story that has twists, turns and is a lot of fun. It's limited by its game structure with some twists having to be forced, but is a great game and an important one at that. Final Fantasy V: While a compelling story and characters are lacking a bit, although some are certainly memorable (maybe for the wrong reasons), part V is known for its fantastic job system and gameplay mechanics. I would agree completely on that factor. It also has itself a pretty underrated musical score as well and even though the story is lacking, the tone is much "lighter" than what Final Fantasy is known for...something we wouldn't see again until Final Fantasy IX. Final Fantasy VI: You can read my write up about it, but simply put the thematic motifs and focus on each individual character makes it one of the most important games in history because each has a specific arc that is presented beautifully. It takes itself seriously, far more adult-themed in content and context, but has enough comedy punch at the right times to not overbear you with it. Throw in a great soundtrack and beautiful graphics and you have a masterpiece. Final Fantasy VII: Great atmosphere and memorable characters help hide the messy script, loose ends, plot holes and jumbled storytelling. Thankfully the gameplay, as well as the music, is also fantastic because Final Fantasy VII is more of an "experience" than it is a fantastically woven tale of epic enthrallment. The Materia/Magic system I think is only rivaled by the job system of Final Fantasy V and the gameplay itself offers fun and variety, which is rare in RPGs. A personal favorite to many that has become a franchise in and of itself, certainly the most popular in the series and deservedly so. Despite what it does wrong, it does so much else right. Final Fantasy VIII: Again, a title with great atmosphere and a unique if not beautiful art style. It's labored by a gameplay system involving known as drawing and junctioning that hampers the experience due to its tedium and the story and characters are so forced and contrived it's hard to get into the title itself. Final Fantasy VIII is best known for pointless plot devices, of which it has many and that ultimately go nowhere, rather than one singular story that is always moving forward. It's hampered moreso by its pacing of this story which is all over the place and its far too forcful with its love plot - the central element to the story itself. If you want to know more about the issues of Final Fantasy VIII, I would recommend watching Noah Antwiller's series at the Spoony Experiment as he reiterates my problems I had with game since it's release in the late 90s. Final Fantasy IX: Lighter in tone but certainly touching and meaningful behind it all (and far darker than it lets on), Final Fantasy IX has a lot going on in terms of style and themes. It uses comedy as a way to cope with death, an interesting dynamic, and takes the series to a beautiful land that combines steampupnk and classic fantasy castles and dragons. I would also argue the storytelling (not necessarily the story itself, which is perhaps too derivative) is the best in the series. It's poignant, well paced but only hampered by the gameplay which hurts the overall package in the end. Expect a big write-up on Final Fantasy IX in the next month or so. Final Fantasy X: Good intentions but, ultimately, an unappealing game that is awash in the same story issues that hurt Final Fantasy VIII - trite, heavy-handed and far too contrived. There's a lot of things that happen seemingly for no reason and throwaway characters you never get to know. Luckily, FFX has itself a great battle system, although the deviations and variety outside the battles and singular-path progression leaves much to be desired. It's at least fun to play despite the problematic story and plot, not to mention the hand-holding it does from the very first scene to the very last as it's reallyl one of the easiest entries in the series. Final Fantasy XI: I won't comment because I've never played, but I know some who enjoyed the hell out of it. Final Fantasy XII: Far more intelligent, non-trendy and original than people give it credit, Final Fantasy XII, despite the problems in development and ultimately with the final game as a result, still offers something that makes you wish other RPGs would take note of: it doesn't pander, it doesn't talk down to you and it treats its audience likes adults. I suppose this is why it's so polarizing to the fans of the series and of the genre itself as it takes a more western-approach ala Bioware or World of Warcraft. It rarely spells things out melodramatically and directly as the series is known for, nor does it hold the person by the hand like a child. Rather, it utilizes subtly and purposeful dialogue and directing that seems to be over the heads of many. It's unfortunate that the gameplay is all over the place, rarely consistent and always drawn-out which hurts the narrative as a result (Final Fantasy IX has similar issues). It also seemingly just ends rather than wrap everything up in a satisfying manner, many attribute this to project leader Matsuno leaving before completion, but I say we judge by what's there and what's there is an unfortunate fault. Still, its characters are all well-rounded and far more adult in nature than we've seen from this series, the dialogue exquisite and the storytelling beautiful. If only the gameplay didn't fracture the pace of it and be a little more enjoyable/compelling on top of it. Well, I think that about covers it. Will I play Final Fantasy XIII, though? Not right now, I can at least say that much. A lot has changed since I first started playing this series. I once took a Gamepro magazine to school and would oogle over the screenshots of Final Fantasy VII in class. 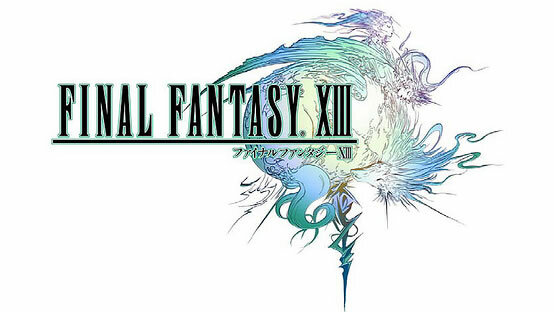 In the case of Final Fantasy XIII, I worry I'll feel insulted by playing it as I did Final Fantasy VIII and X. As someone of discerning taste when it comes to a quality story, judging stories is my job, I utterly abhorred what those two titles brought to the table and both were saved by their other elements. Now with Final Fantasy XIII, again it looks to be a pretty package from Division 1, but I don't expect anything beyond that and at this point in my life, I need a hell of a lot more that pretty characters and sharp graphics. I have taken the "wait until the game is $20-$30 before I play it" approach. I have enough to play as it is, and haven't had the desire to buy a game at launch since college. I don't think I'll ever play it. Isn't one of the main character's called "Hope" ? And one called "Lightning" ? Seriously?